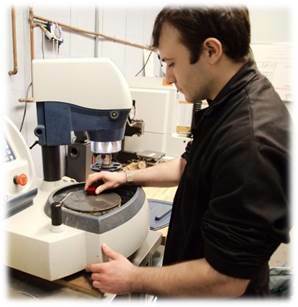 MaJIC provides a full range of material or metallurgical testing capabilities, including qualification testing and failure analysis. With a fully equipped lab, you can expect quick and accurate results every time. Our technical staff has the expertise to not only interpret the results but also to provide you with pragmatic, cost effective solutions to identified problems. As required, MaJIC can specify & source materials, processes, filler metals, gases, perform PWHT operations, and all aspects of mechanical testing. MaJIC can provide third party welding consumable evaluations and consulting to ensure that the right products are selected for your company's applications and requirements. and new materials: SMAW, GMAW, MCAW, FCAW, GTAW, PAW, SAW, RSW, Brazing, Robotic, and CMT. While MaJIC supports testing of all types of industrial materials, we particularly specialize in joining steels, stainless steels, aluminum alloys, copper alloys, cast irons, super alloys, titanium and reactive metals, and overlay (corrosion resistance/hardsurfacing).